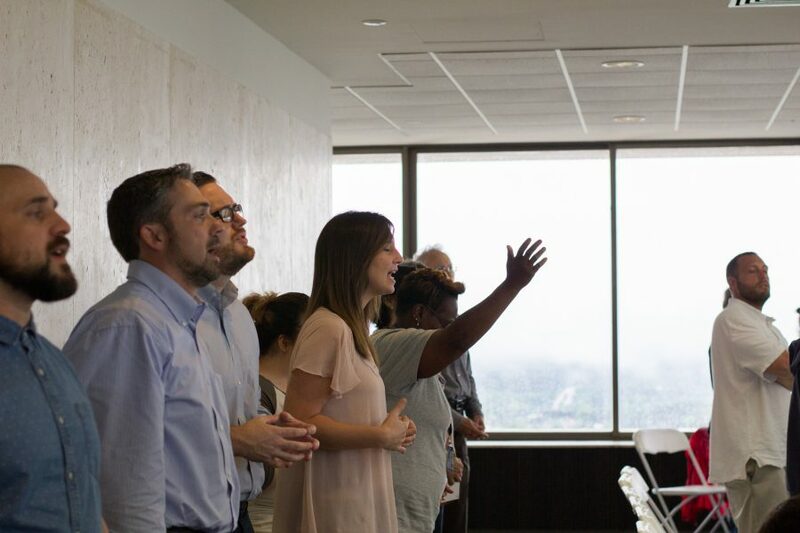 On May 4th, 2017, hundreds gathered on the 22nd floor of the Florida State Capitol to join together from different influential aspects of society to honor God, humble themselves, and pray for God to intervene in America. 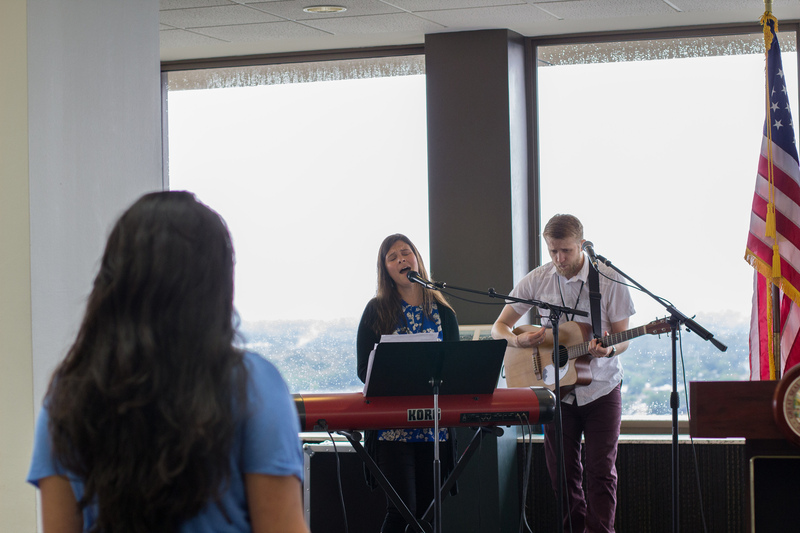 Left: Aubrey Breedlove and team from IHOPTLH lead the congregation in worship. Right: Members from Evangel Assembly join in worship. Students from Tallavana Christian School perform special songs during the program. Lieutenant Governor Carlos López-Cantera and Pam Olsen show off their Life Bands, which are a commitment to pray for the ending of abortion, vote for pro-life leaders, and obey God in acts of mercy. Left: Pastor Teryl Todd prays over the Church in America and the persecuted Church around the world. 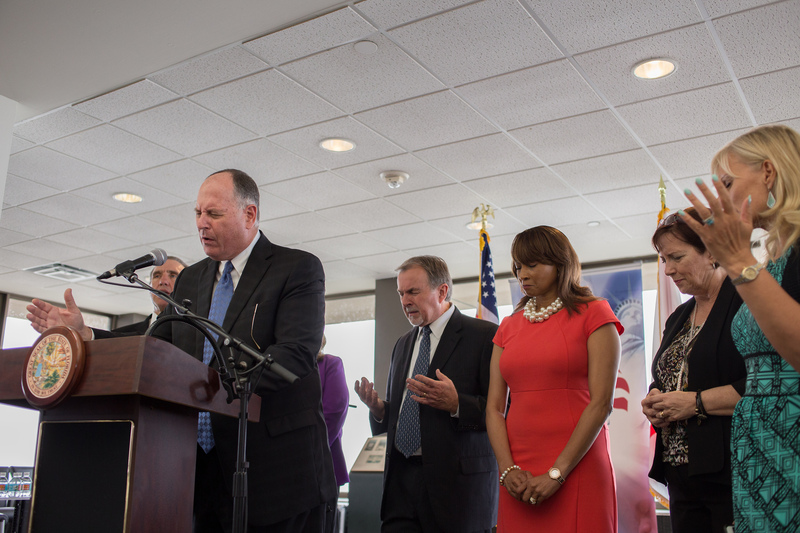 Right: Dr. Rodney Howard Browne prays over the President, Vice President, Florida Governor, and awakening in America. Members of the Florida Cabinet were gracious enough to take time out of their Session schedules to attended the meeting and offer up prayers for God to intervene in our state and nation. Below the following photos are short Facebook Live videos of some of those prayers. Representative Mel Ponder, Chair of the Legislative Prayer Caucus prays for our state and nation along with other caucus members. 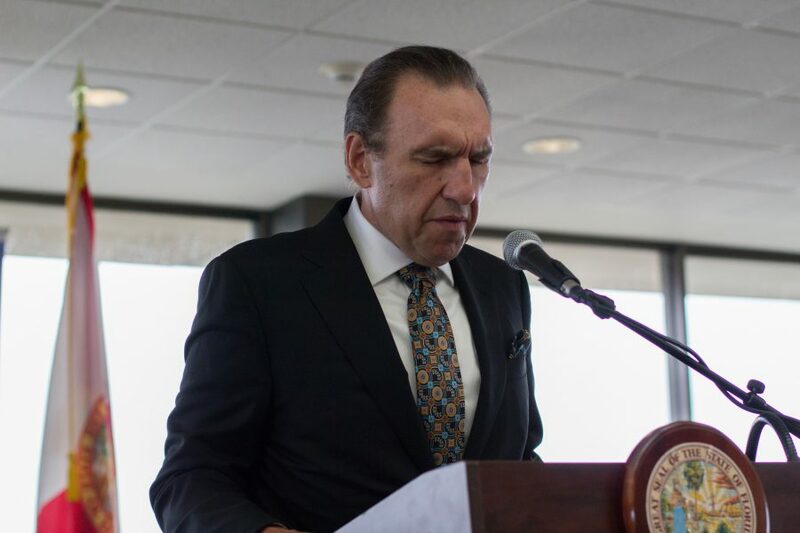 CFO Jeff Atwater, Lieutenant Governor Carlos López-Cantera, and Commissioner of Agriculture, Adam Putnam, present the Florida National Day of Prayer Proclamation to Pam Olsen and Regina Brown. Commissioner of Agriculture, Adam Putnam, prays for Florida’s families. Commissioner of Agriculture, Adam Putnam prays. Florida legislators praying at the National Day of Prayer.